Organized by Mysore B Nagaraj on the 3rd Sunday of every month, Articulate Festival has now reached 23rd edition that was presented at the Veene Sheshanna Bhavana, in Mysore on 15th April 2018. Mysore dance lovers appreciate this dance program as it is sans chief guests and all the accompanying cacophony of irrelevant speeches. As Nagaraj said, the esteemed audience was the chief guests of the evening. As usual, four dance segments are designed for the evening giving 30 minutes of performance time for each artist to bring out their respective artistry. This edition featured 3 solo performances in Bharatanatyam and one duet in Kathak. Kathyayini CS, disciple of Kripa Phadke of Nrityagiri Academy of Performing Arts & Research Centre, Mysore, performed to a Mysore Vasudevacharya's composition (Bilahari raga, adi tala) as an obeisance to the presiding deity of Mysore, Sri Chamundeshwari. In her second act, she performed to "Natanavaadidal Taruni" culled from the collection of Kannada poet DV Gundappa's poetry 'Anthapura Geete' that brought out the Kuravanji character live in expressing her devotion to Chennakeshava. She concluded with a thillana of Lalgudi Jayaram in raga Mohanakalyani and adi talam. It was just another performance. 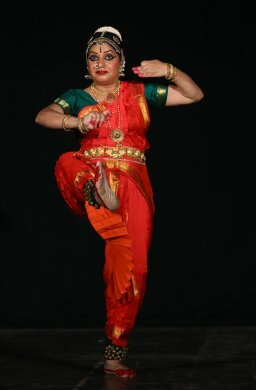 Rekha Dinesh Kumar, disciple of Guru B. Bhanumathi and Sheela Chandrashekar of Nritya Kalamandiram, began her recital with a Choornike written by Subramanya Shastri, choreographed by Venkatalakshmamma, on the Rangadevate, a repertoire that stands special in the Mysore School of Bharatanatyam. A Gowla raga, mishra chapu tala composition of Muthuswamy Dikshitar was the second dance Rekha performed as a dance prayer to Ganesha. She concluded with a vachana "Nanda Priya Shiva Nembaru" of Basavanna in raga Hamsanandhi and khanda chapu tala. The vachana's dance interpretation saw the story of Ravana and Kannappa woven into its narrative. Rekha's exhibition of her skills seemed more functional than artistic. Dr. Prarthana and Laxminarayan Jena, senior disciples of Guru Mysore B Nagaraj of Articulate Dance Studios, presented two compositions that were crisp, fast paced and mercurial in movement justifying the Kathak emphasis on brahmaris and padakriyas. The first was Raga-Tala-Sahithya mala in praise of Shiva incorporating Shiva stuthi of Sri Goswami Tulasidas, two selected passages from Vedasarashivasthava of Adi Shankaracharya and Nataraja stuthi by poet Balwant Rai Bhat. Kaviths and parans were interspersed in their choreography. The second dance was pure nritta that drew spontaneous applauses at the end of tukdas and parans. The finale of footwork was electrifying. It seemed true entertainment started from this point onwards with that smiling pair performing to the point that their joy of performing enveloped the audience. 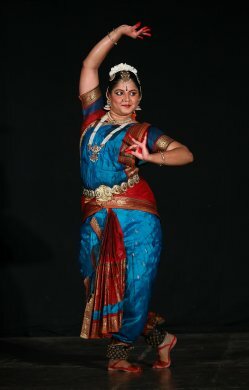 Kavyashree Nagaraj in just one dance item in the varnam format, justified her command over the medium of Bharatanatyam. The Attana raga, adi tala based composition encapsulated almost the entire Bhagavatham when she strung the anecdotes from Krishna's life while constantly appealing to him to come to her. Disciple of Dr. Suparna Venkatesh, she looked tireless despite the demanding 30 minutes seamless, effervescent and emotive presentation of Turaiyur Rajagopala Sharma's "Ninne Nera Nammi Naanura Krishna." Mysore B Nagaraj held the various dance segments together in a crisp presentation and with his articulated speech gave befitting introduction to the dance items that suited the sensibility of the assembled audience.